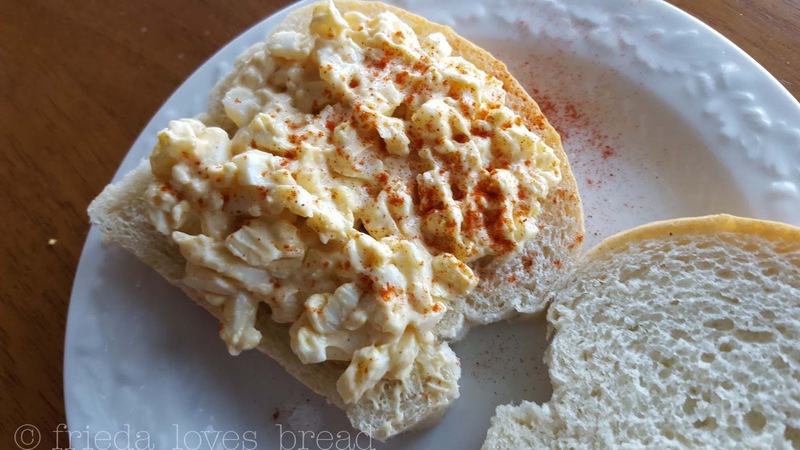 Frieda Loves Bread: Classic Egg Salad Sandwich Plus a Kitchen Tip! 0 Classic Egg Salad Sandwich Plus a Kitchen Tip! 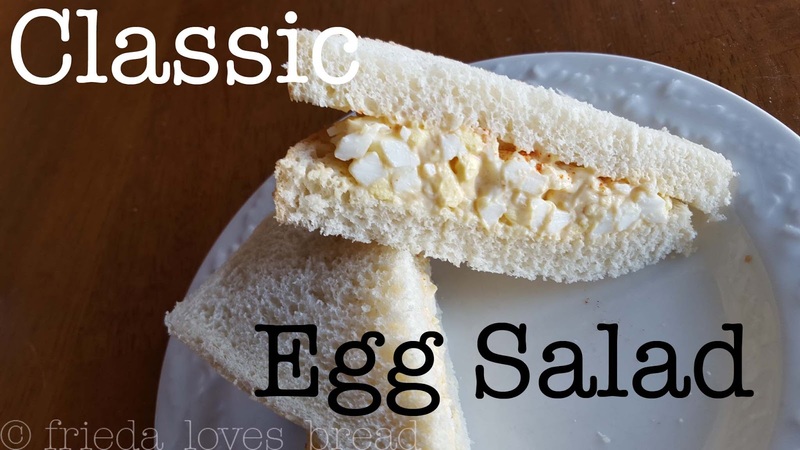 My mom taught me how to make this Classic Egg Salad sandwich when I was very young, probably as a six or seven year old. 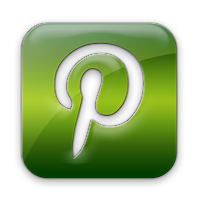 It is a simple "recipe" to make and teach to your children or grandkids! Sorry, I had to shout those parts. I don't love gray-ish rings around the yolk and hate peeling eggs with chunks along with the peel, wasting much of the egg. 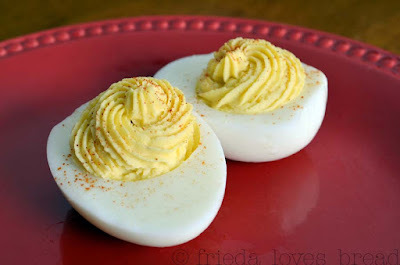 Besides, you need perfectly peeled eggs for Classic Deviled (Stuffed) Eggs. 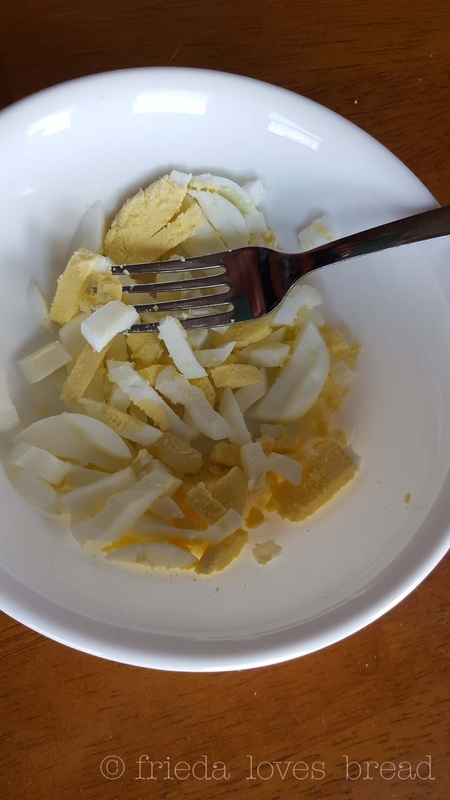 Want to learn a Kitchen Tip for chopping eggs quickly and easily? 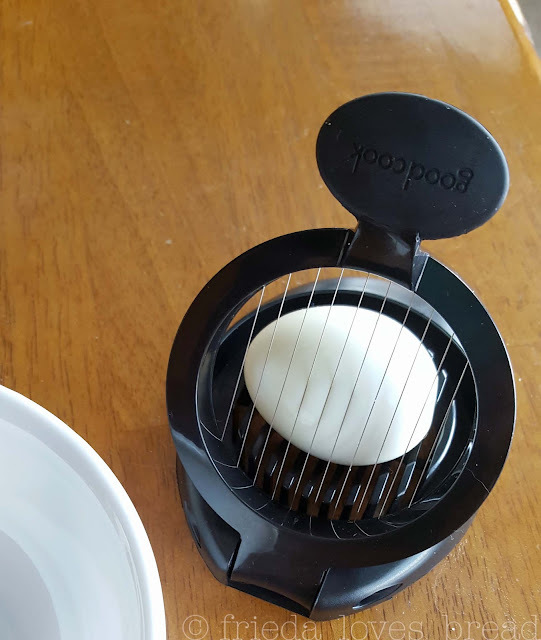 then carefully pick up the sliced egg and lay it in the other direction. 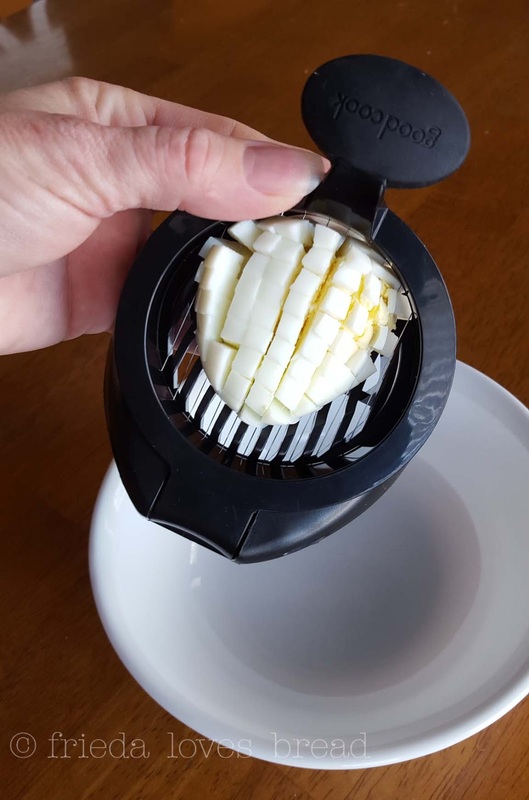 Slice into a bowl. The recipe? You can use the Classic Deviled Eggs for a recipe that serves 4-6 people, or for one person, put a Tablespoon or so of Mayonnaise (or Miracle Whip), a squirt of mustard, and a dash of salt and pepper. Mix and put it on your favorite slice of bread. That's it. Easy. Simple. Classic. A few years ago, I discovered Smoked Paprika. Ohhhhhh....you gotta try it! Sweet and smokey, without any heat. Sprinkle on top or mix it in, whatever you choose. Is your mouth watering yet? I hope so. Mix together and spread on your favorite sandwich bread. Top with lettuce and another slice of bread.